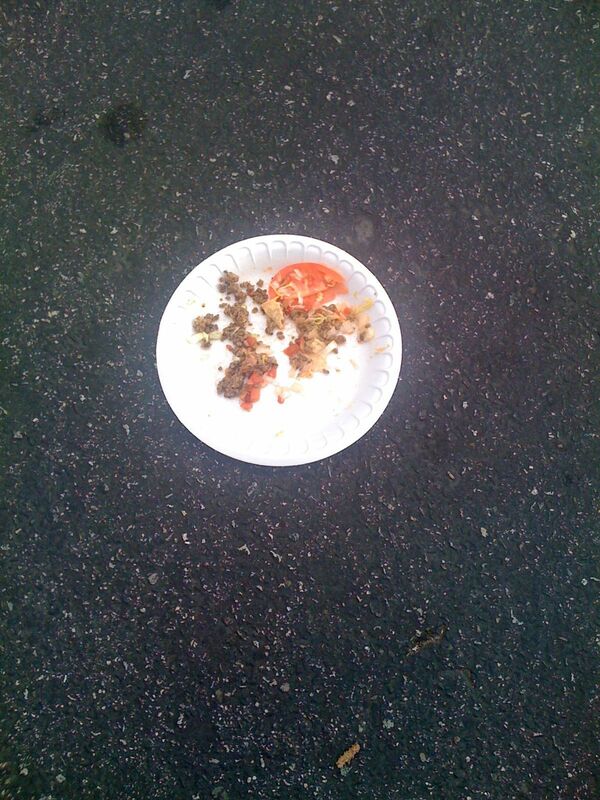 Here’s a plate of leftover tacos in a parking lot. I keep trying to find a way to incorporate the phrase “the floor is so clean you could eat off of it” into my commentary, but I can’t make it work other than what I just wrote. Somebody’s not getting any dessert!